Preheat oven to 240°C (475°F). Place the pastry sheets on top of each other, on a large oven tray lined with non-stick baking paper, and press firmly. 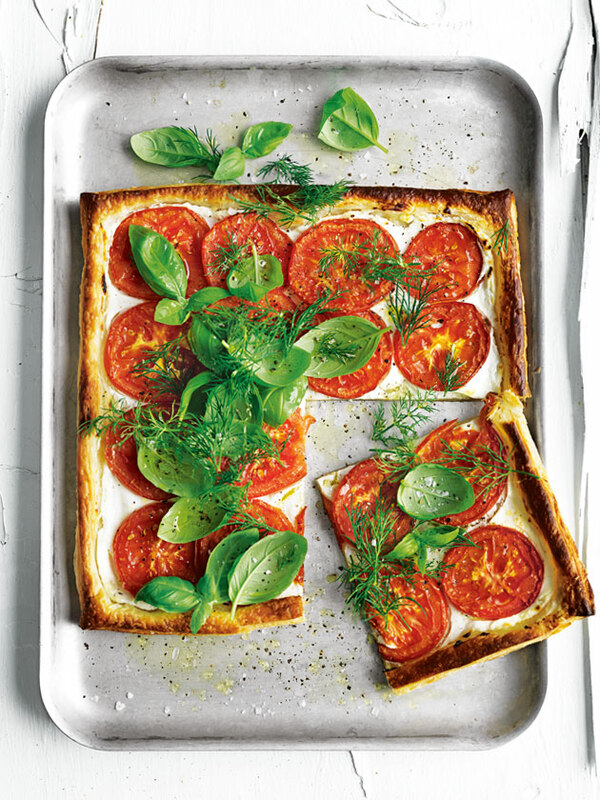 Spread the pastry with the goat’s curd and top with the tomatoes. Sprinkle with salt and pepper and drizzle with half the oil.